HI, was testing the mercado pago gateway here, but i could not see the Boleto payment option, is this available? how can we enabled it? Good question. We don't control what payment options appear on the MercadoPago hosted payment page that customers are sent to when paying for their order. Instead, that will be dictated by your account with them. Are you by chance using the default test credentials in our admin? If so - our own test account may not be configured to support that payment option if it is indeed available. Sorry we couldn't provide more specific advice there - but if you reach out to their support team, they should be able to assist with what payment options you can get enabled. Hi, thanks for the message. I have enabled the mercado pago live, tested and everything seems to be ok, the boleto option is showing now. But there was a issue that mercado pago asked me to talk to you about it. I have asked my colleage to make a test purchase using the marcado pago boleto option, everthing went fine and the boleto was generated. But the address showned on boleto is diferent of his adress. Called Mercado Pago, and they said the issue must be here at foxycart. Could I confirm with you which store this is for? We'll take a look and see if we can spot what may have gone wrong. If you'd prefer to keep it private, you can whisper me those details by checking the "Whisper" box when replying and entering my forum username. Hi the cart is on this page. Thanks for sharing that link. Reviewing your store, it doesn't appear that there has been any completed transactions placed through it. Do you by chance have another system that users can utilise to purchase from you that the order may have been placed through? If you can whisper us some details about the transaction you're seeing - particularly if you can see the transaction ID with MercadoPago (not MercadoPago's ID but the ID from the system that sent it), that might help us dig in further too. Also i have not received any emails about those transaction, nor are those listed on transactions on my foxycar dashboard, i should have received an notification email email or not? Unfortunately no updates yet. We've reached out to MercadoPago's support team and are waiting to hear back on some questions we had for them. Sorry this is taking us longer to debug - hopefully we'll receive an answer back from them quickly to allow us to correct the issue here. In terms of the pending transactions - thanks for whispering details on that. It does appear that MercadoPago is failing to redirect to our side correctly after completing the initial process on their side, so it's failing to list the pending transaction as it should there. We'll follow up as we have more details for you. Hi @fc_adam , did mercado pago solved the problem? Thanks for checking in. I don't believe our developer has heard anything back from MercadoPago yet. I'll check in with them to make sure on that. Do you by chance have any contacts on their side that you might be able to share privately that we could try reaching out to? 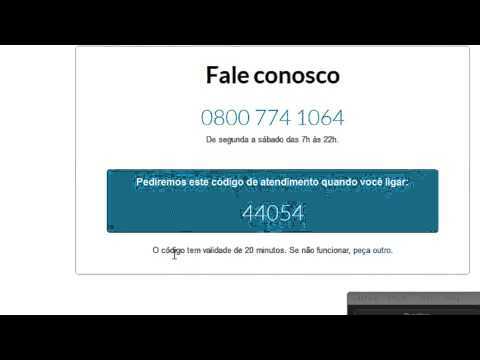 Its complicated to talk to mercado pago, you will need to sign up for an account if you wish to do that, because they need to give you an pin otherwise you do not get connected. As for the address the one you got above is correct, but the one the costumer got on his boleto is totaly different than that. Hi @fc_adam , did mercado pago returned your emails? Thanks! Unfortunately not - we'll try reaching out again.